We don’t want to mention God in our ceremony, is that okay? Yes! I believe your wedding ceremony should reflect your beliefs. I work with all kinds of clients: atheist, agnostic, spiritual but not religious, religious, and interfaith. Every ceremony is written with respect to your beliefs. If you want a completely secular wedding ceremony, it’s my pleasure to create it for you. You’ll even have full approval of the script to make sure we get it right. Have you every been to a church wedding where the minister’s ceremony didn’t reflect the couple at all? That won’t happen with me. You’ll get to read your ceremony and make changes. Most ceremonies go through 3 drafts, including the final draft, but if you need to make more changes, I’ll work with you to make sure it’s right. 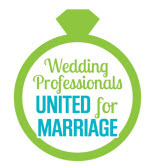 Talk to Cris about how to make your secular wedding ceremony a rich and personal experience everyone will love!